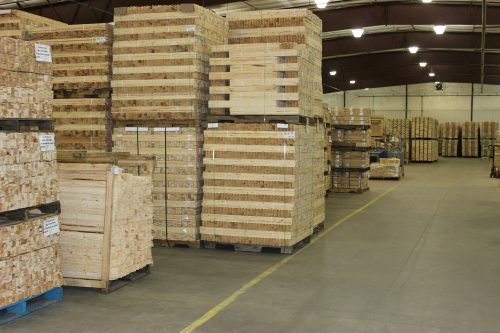 Our manufacturing facility is designed to produce and stock several truckloads of finished goods every week. It is our commitment to accommodate our customer needs with quick turnaround delivery so they may remain on the job site during the short building and surveying season. With multiple freight options available including flatbed & enclosed semi-trailers, LTL carriers, single package delivery and customer pick-up, we have the capability to load and ship your order using the best method for your budget! Copyright © 2019 ODC Stake and Lath. All Rights Reserved.